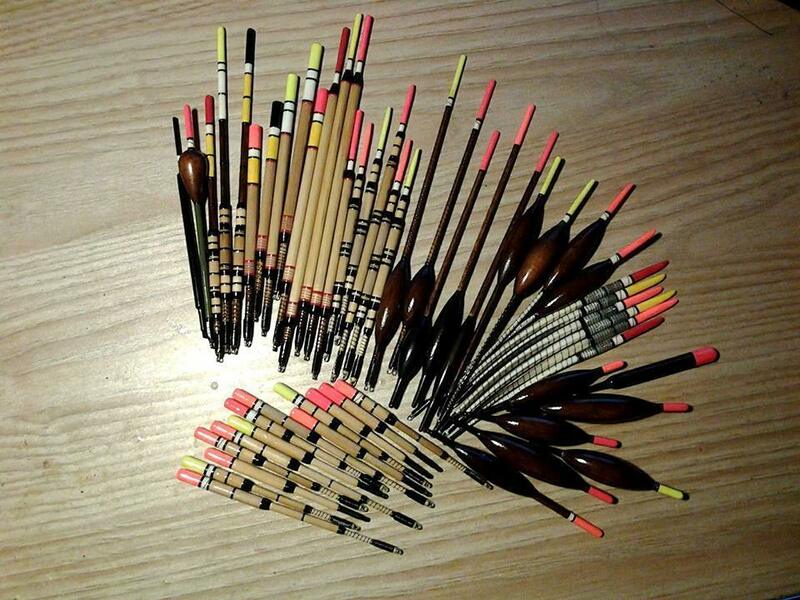 These days most fishing tackle is mass produced and imported, but just a few decades ago, it was all hand made by craftsmen. We caught up recently with Paul Duffield who is one of the few people still making hand made fishing floats in the U.K. to ask him a few questions. How did you get into float making? I've made floats for my own use almost for as long as I've been an angler. Initially it was out of necessity. 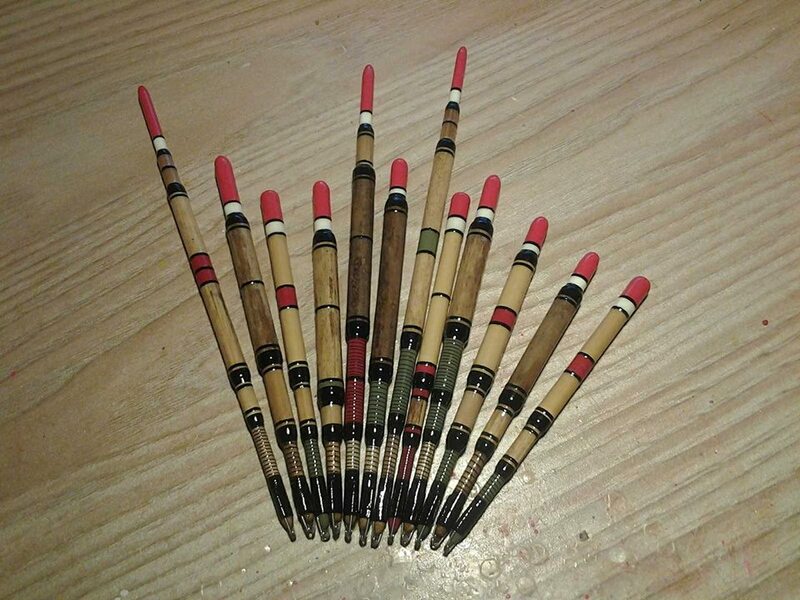 As a child there were many demands on my pocket money, so I made floats from bird quills that I found on the bank. 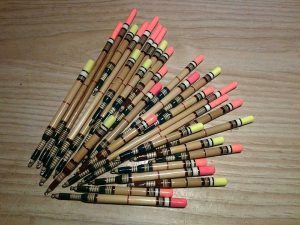 Later, when I was fishing club matches on a variety of waters in the 1980s and 1990s, I made floats to suit the waters I fished. In more recent years I have became interested in the fishing tackle used in previous eras and started to make replicas of vintage floats from as far back as Victorian times. I have always made more floats than I need and have given many to friends over the years. I decided to start offering floats for sale commercially a few years ago when as a result of redundancy I had more time on my hands. Some say that you can never have too many floats, but it is also said that more floats are made to catch anglers than fish. What do you think? The second part of the question always makes me smile as it is the first piece of advice I was given by my late uncle who first introduced me to fishing. 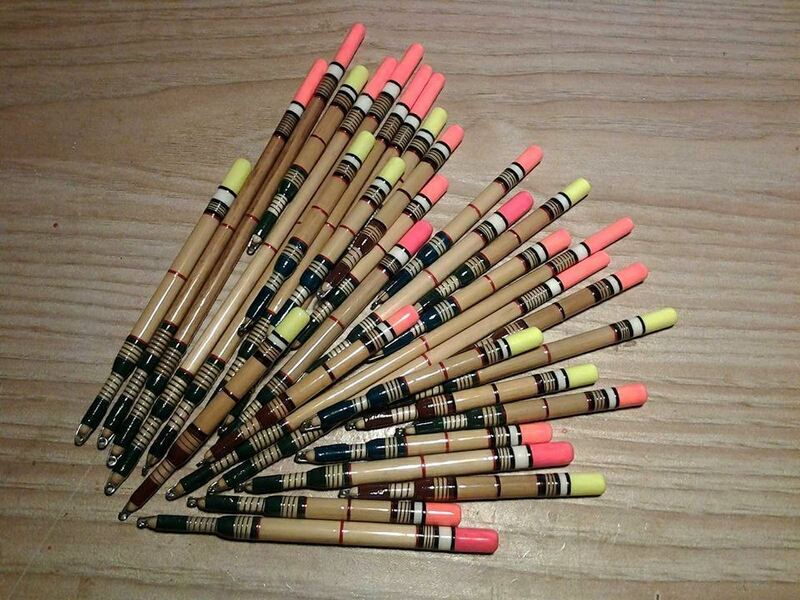 My floats cover such a wide range that I sell to all kinds of anglers. 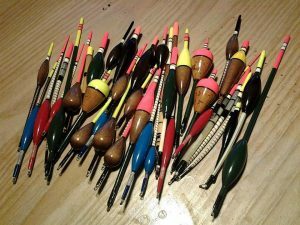 Some are traditionalists who like to fish with vintage tackle and want to use the type of floats that were in use when rods were made from cane, some want to fish with the float patterns that they started with, say in the 1970's and 1980s and some want a float made to their own specifications, either for a particular water, or a particular style of fishing. 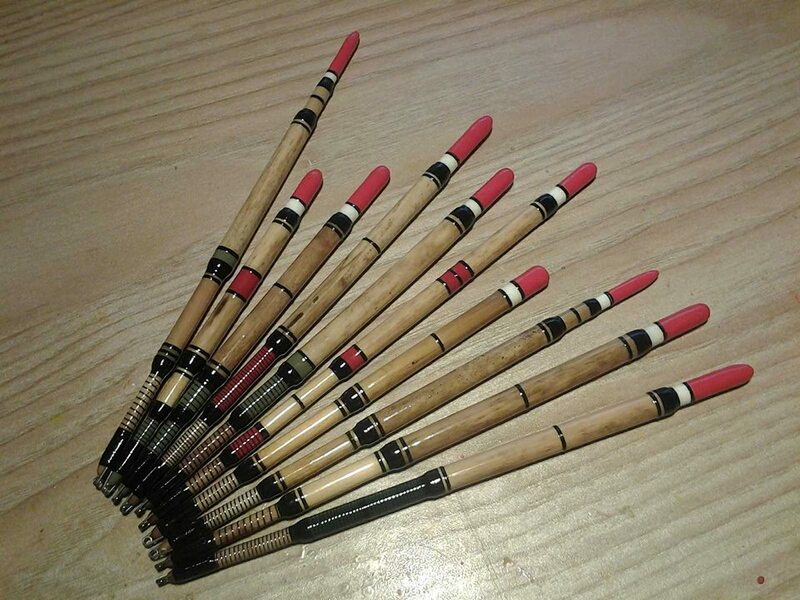 On your website you offer a wide range of standard float patterns for river and still water fishing, but you also make floats to a customer's individual specifications. Tell us about that. To make ordering simple, I have developed a standard range of floats that can be ordered in various sizes and tip colours. I can make any of the standard floats to custom designs, for example with a longer stem or different cosmetics, usually for the same price. I'm also happy to work with customers to make floats to their personal specifications, to make replicas of existing floats or to make floats to mark special occasion such as birthdays, weddings or retirement. Do you have a favourite type of float that you like to make? 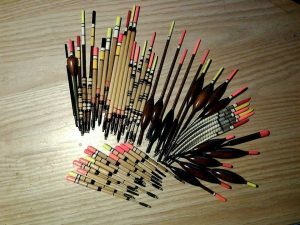 I really like to work with Norfolk reed. As its a natural material, no two pieces are ever exactly the same and because the way it grows is determined by weather and environment, it comes in a wide range of colours shapes and sizes. 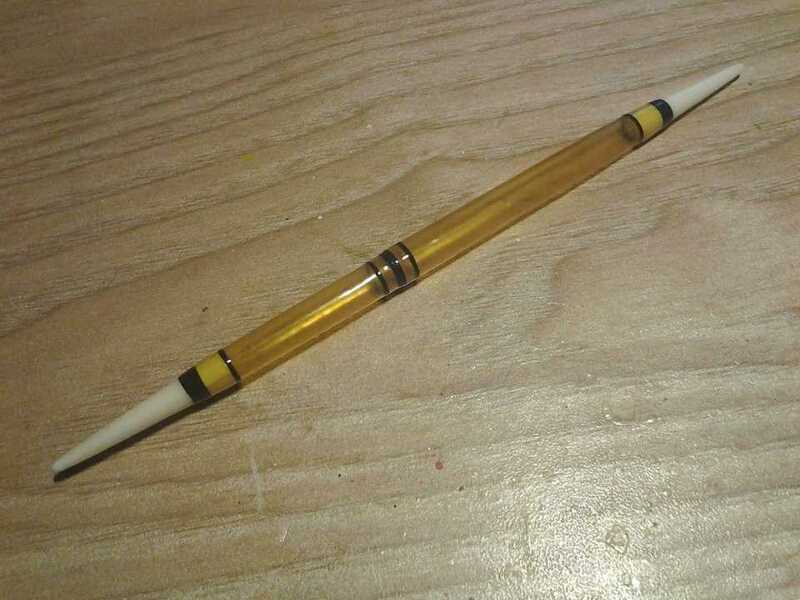 When I select a piece of reed to make a float with, I don't start with the design of the float in mind, I look at the reed and decide what type of float it could be, then improvise from there. It allows me to be creative. I also have a bit of a love/hate relationship with a special kind of float from the Victorian era called by various names such as the 'tip-capped float', 'London roach float', 'London patent quill' and 'Naiad' (a water nymph from Greek mythology), the latter being from a description of the float by H.T. Sherringham in his book 'An open creel' published in 1910.
sections of clear quill, amber-varnished, silk-lapped, and tipped at either end with a slirn point of bone. ... it rode the stream in dainty fashion, peeping shyly out like some modest naiad'. 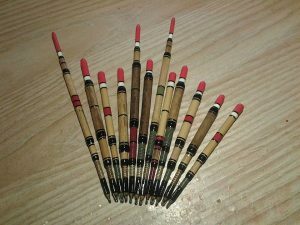 These floats were made by only a small number of makers from the middle of the 19th century through to the start of the 20th century and the techniques for preparing the quills were a closely guarded secret, and still are among the small number of modern float makers who have been able to replicate them. A small number of the original floats have survived to the present day and can change hands for hundreds of pounds among collectors. For several years I have been attempting to make replicas of these floats myself with gradually increasing rates of success. The process of preparing the quills can be destructive with very few quills being usable from a processed batch. I return to this quest once or twice a year and usually learn something new each time. My latest effort is in the picture below. I hope one day to refine the process to a point where I can offer these floats for sale. Finally, how can people buy your floats? I have a website at www.traditionalfishingfloats.co.uk where people can order from my range of standard designs and contact me to ask about making custom floats. I sell one off designs that I've made, like the Norfolk reed floats mentioned earlier, at my ebay shop at http://ebay.to/2nvi08s many of my standard floats can be ordered there too. I can also be contacted by email at paul.duffield@btinternet.com.